This Term, the Supreme Court will hear Friedrichs v. California Teachers Association, a case about the constitutionality of “fair share fees” collected by unions that threatens to overturn forty years of precedent governing American labor relations and has the potential to invalidate provisions in thousands of collective bargaining agreements covering millions of workers. In 1977, in Abood v. Detroit Board of Education, the Supreme Court affirmed the right of public sector unions to collect “fair share” fees from workers who are not union members, but who receive the benefits of union representation. 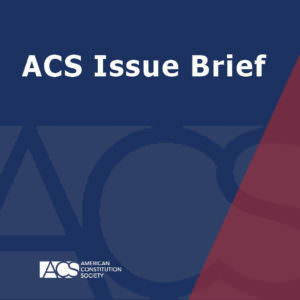 In this Issue Brief, Professor Hodges outlines the history of union security agreements and concludes that the rationale for upholding fair share is as strong or stronger today as in 1977.